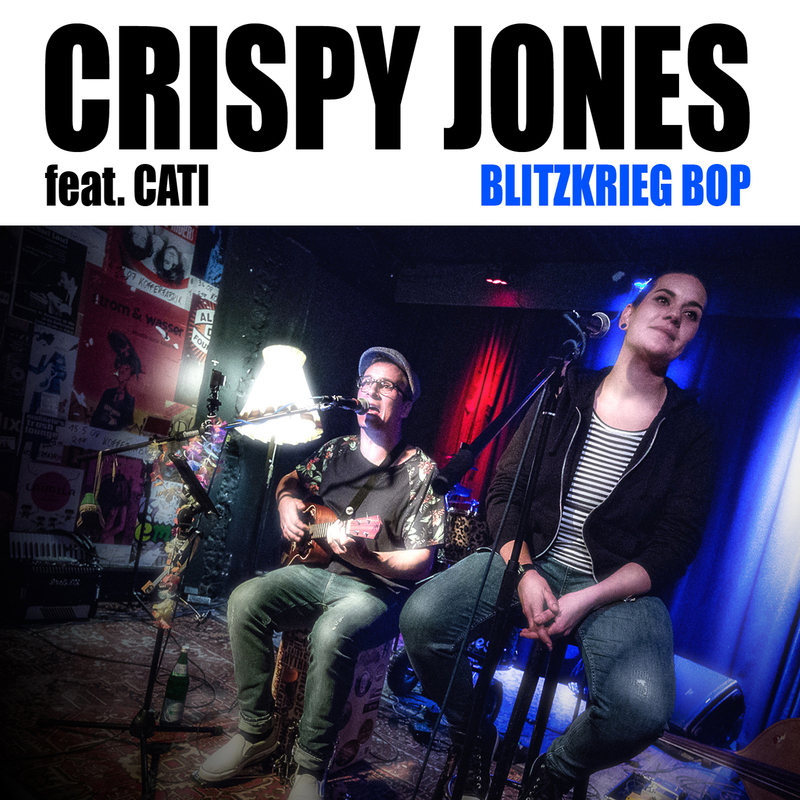 More full on energy from Crispy Jones, this time featuring the great vocals of 'Cati' who contrasts the brashness of Crispy really well. Hopefully, they are planning more, this is just a single track, and teases us for what could come. We listened to his album before, and this is a punk rock / rock hybrid song in a similar vein. Wonderfully upbeat, with a catchy chorus that opens the song. You'll be singing this one in your head after listening to it. His website is at www.crispyjones.de, you can get Blitzkrieg Bop from Amazon downloads here. Crispy Jones is a good friend of Cool Cat Ukes, we like his songs!